Douglass Academy Hosts Amazing Pasta Dinner! You are here: Home » Blog » Douglass Academy Hosts Amazing Pasta Dinner! November 16, 2017BlogComments Off on Douglass Academy Hosts Amazing Pasta Dinner! 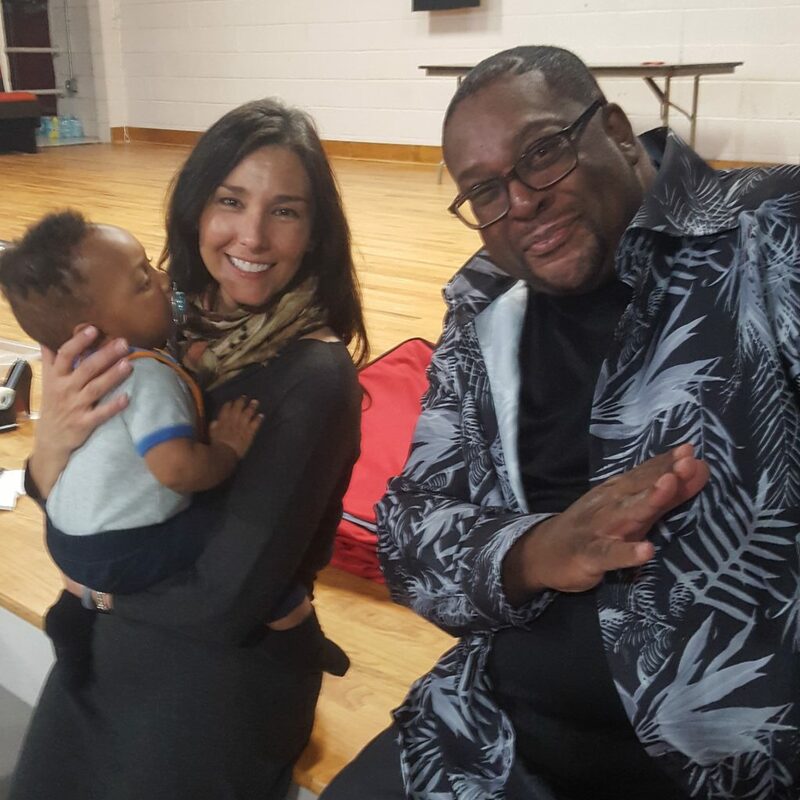 Headmaster Carla Fisher and Coordinator Larry Mays of the New Hanover County Department of Social Services hang out at a pasta dinner organized for families of the tuition-free charter school Douglass Academy. The event, in the school auditorium at Sixth and Red Cross Streets, was enthusiastically attended by over 70 Douglass Academy students and family members, who enjoyed pasta, pizza, salad, cheesecake, music, and dancing.